Get the all new fire jam from Vanessa Mdee – That’s For Me ft. Distruction Boyz, Dj Tira, Prince Bulo out now! All the way from East Africa, Tanzania is this lovely piece of music ‘That’s For Me‘ from the sultry singer Vanessa Mdee. The track is a pan African song as she features DJ Tira, Distruction Boyz and Prince Bulo. It banks on the raving Gqom sound. 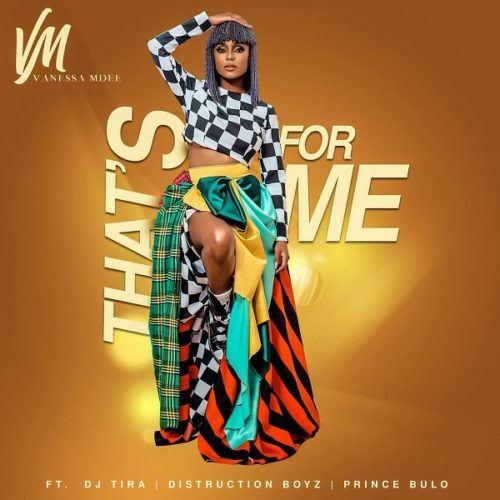 Listen to Vanessa Mdee – That’s For Me ft. Distruction Boyz, Dj Tira, Prince Bulo below. Keep sharing.